Inza Koné is a primate conservation biologist. His project is for the community-based conservation of the most endangered three primates of West Africa: the guenon, the white-naped mangabey and Miss Waldron’s red colobus. 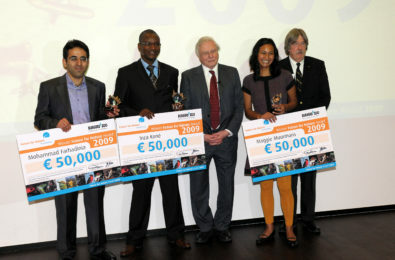 Inza’s outstanding work was rewarded with the Future For Nature Award in 2009. The Roloway guenon and the white-naped mangabey have been eradicated from most of their original range in south-eastern Côte d’Ivoire and south-western Ghana, but populations still exist in the Tanoé-Ehy Forest in the south-east of Côte d’Ivoire. Evidence of Miss Waldron’s red colobus, a species declared “probably extinct” in 2000, has also been found here, making the Tanoé-Ehy Forest the only place where all three primates are thought to still exist. The Tanoé-Ehy Forest is a 12,000 hectare swampy forest located in the south-eastern corner of Côte d’Ivoire, between the Ehy lagoon to the west and the Tanoé river to the south and east, which forms a natural border between Ivory Coast and Ghana. The conservation value of the Tanoé-Ehy Forest extends beyond its unique primates. The forest is home to at least 274 bird species (12 of conservation concern), 38 amphibian species (10 of conservation concern), 22 fish species (2 of conservation concern) and 174 plant species (33 of conservation concern). In addition, the Tanoé-Ehy Forest is the largest of the few forests remaining in the region and thus provides unique ecosystem services. Despite its conservation significance, the Tanoé-Ehy Forest has received little attention so far and is under high pressure from hunting for bushmeat, illegal chainsaw-milling, logging and agricultural clearings. Inza has been fighting for greater protection of Tanoé since 2006. His successful campaign against proposals to drain and convert 8,000 hectares of the Tanoé-Ehy Forest into a palm oil plantation in 2008/2009 gave a much needed boost to the then embryonic community-based conservation and management system. 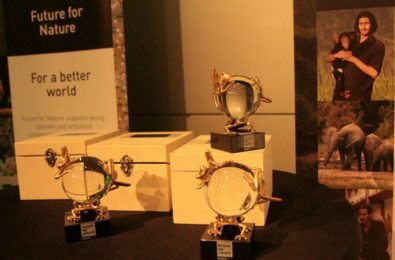 Winning the Future For Nature Award at that time was an unexpected and invaluable asset. Inza received unprecedented national and international acknowledgement of his work and was able to maintain local commitment and continue community empowerment through capacity building and collaboration with government authorities. Currently, they are working towards a community led management of the Tanoé Ehy forest that crosses the border with Ghana. Since then, Inza and his team have been improving access to safe drinking water, medical supplies and education, and helping to develop alternative livelihoods to demonstrate that conservation does not have to be a choice between wildlife and human welfare, but that conservation and poverty reduction can go hand in hand. In doing this, Inza is helping to create a more sustainable way of life and ensure greater awareness and protection of West Africa’s three most threatened primates. In 2012 he won another prestigious prize, the Whitley Award for nature conservation. 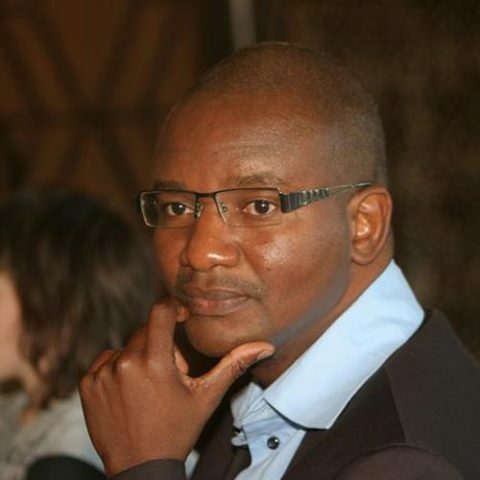 Inza Koné is a lecturer at the Felix Houphouet Boigny University of Abidjan and Head of Biodiversity and Food Security at the Centre Suisse de Recherches Scientifiques en Côte d’Ivoire. In July 2017, 150 primatologists from 22 African countries, and 12 other countries came together and founded the Société Africaine de Primatologie in Abidjan. Inza Koné was elected president of this organisation.